Meet at the village Hall on Mondays and Thursdays 1.45 - 4.30 p.m. and 6.45 - 9.30 p.m. Formed in 1994, the club currently has 34 members who play league and friendly games throughout the year. Memorial cup competitions are held on behalf of former club members. 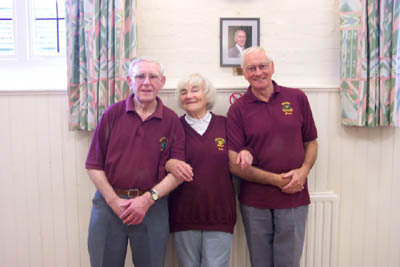 This is a friendly club which welcomes new members of any age or gender.